”Romania is not only a strategic point in Eastern Europe with a large market potential, but also a gateway to the EU market, the world’s largest single market. Romania is a country with vast farmlands, abundant natural resources including mineral resources, outstanding human capital, and favorable investment climate. As Korea is one of Romania’s key partners in Asia, both countries have made their utmost to promote exchanges in various fields including culture, education, and economy over the years. Romania sealed the Korea-EU FTA in 2012 and since then, trade relations between the two countries have grown stronger, and several superior products from Romania have entered the Korean market. Romania an EU member since 2007 is a unique country in Eastern Europe with great market potential and strategic location. Our country has the largest free market economies in South Eastern Europe and one of the biggest domestic markets in the European Union with access to the Black Sea region. Romania has an enormous reservoir of educated talent, and is rich in natural resources, including agricultural land and significant mineral deposits. The Republic of Korea is one of Romania's most important Asian partners - over the years both countries have developed a regular political dialogue, increased economic ties and enhanced cultural and educational cooperation. In 1990 Romania and Korea established their first bilateral ties. Since then the bilateral dialogue has been significantly strengthened by numerous official visits from both countries and have culminated with the signing of the landmark Joint Declaration on the Establishment of the Bilateral Strategic Partnership in 2008. On March 30th 2015 Romania and Korea celebrated the 25th anniversary of bilateral diplomatic relations. 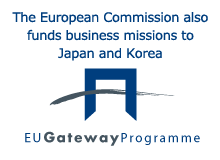 As a result of constant and enhanced dialogues of various institutions and actors in both countries based on the pledges of the Strategic Partnership and the Korea EU FTA, in recent years the bilateral economic relations have been further strengthened. In terms of economic bilateral relations, there has been a constant increase in the overall volume of trade: on November 30th 2015 the total bilateral trade volume of Romania and the Republic of Korea reached USD 1055.7 million. Companies such as Samsung, Doosan, Hyundai and LG as well as other numerous Korean companies (234 Korean-owned companies) have set a strong foothold in Romania. The total figure of South-Korean investments in Romania, in 2015, amounted a total investment volume of more than USD 600 million dollars which puts South-Korea on a very special position in the chart of foreign investors in commercial companies located in Romania. Romania is a gateway to one of the major single markets in the world: the EU market with access to approximately 500 million consumers. As an EU member state, Romania enjoys free trade relations with EFTA, CEFTA and the Mediterranean countries. Romania is situated at the crossroads of three major markets: the European Union, the Community of Independent States and the Middle East. Romania provides access to Western Europe through the Rhine- Main- Danube canal and has significant potential for tourism. Romania offers a friendly business environment designed to support entrepreneurship due to cost- effective fiscal policies encouraging entrepreneurship, corporate investments and business initiatives. Transfer pricing procedures are made according to the EU and OECD regulations. Korean businesses will enjoy long- term stability due to domestic fiscal system. Since the official establishment in 1990, the relations between Romania and South Korea have been significantly enhanced. One of the cornerstones of the bilateral relation between Romania and Korea is the Joint Declaration on the Establishment of the Bilateral Strategic Partnership (during the official visit to the Republic of Korea of the President of Romania September 2008), completed in 2010 by the Joint Plan of Action for the implementation of the partnership. Romania participates in Yeosu World Expo 2012 with a pavilion focusing on the Danube Delta that attracted more than 800.000 visitors. It was one of the largest events of its kind and very significant for Romania's image abroad. 2015 was an eventful year for the bilateral relations of the two countries as March 30th 2015 marked the 25th anniversary of bilateral diplomatic relations between Korea and Romania. It was soon followed by the 8th Industrial Cooperation Committee Meeting in Seoul in May 2015 as well as the Korea-Romania Business Forum. At this business forum Mr. Florin Vodita described the increasingly promising bilateral trade relations between Romania and Korea emphasizing the possibilities for further Korean investment in our country. The government decided to implement state incentive (relief) policies to stimulate foreign investments. Also the state aims at promoting/increasing jobs by financing labor costs. The allocated budget is 600million Euros. Smart investors could gain considerable returns/profits in state funded projects in areas such as energy and infrastructure. The economic delegation led by ANAMOB and its member companies visited Korea (November 2015 18th~21st ) and met with Korean food industry counterparts in a business seminar organized by KOIMA and the Romanian Embassy held at KOIMA headquarters on November 19th. During the seminar the CCRC (Bilateral Chamber of Commerce and Industry Romania-Republic of Korea) was actively involved in the business consultations. At the business seminar Mr. Viorel Marin ANAMOB President emphasized the great potential of the Romanian food companies to provide a large variety of flour, pastry/bakery products to Korea. On July 1st 2011 the Free Trade Agreement (FTA) of the EU with South-Korea came into force starting a new age in the history of the bilateral relations. Romania sealed the FTA on July 31, 2012, by Law No. 100. It is the first FTA signed by the EU with an Asian country. This Free Trade Agreement eliminates tax barriers for industrial and most agricultural products, gradually. Also the exports of the EU and of Romania were stimulated by the FTA. In his Excellency Korean ambassador to Romania Mr. Hyo-Sung Park’s view "…the bilateral economic ties can best be characterized as a robust, most promising partnership. In fact, our bilateral trade has increased 67 times since our countries established diplomatic relations 25 years ago, while it has increased more than six times over the past 14 years.... It is also important to understand that Korea has been among Romania’s major foreign investors since the early 1990s, when Romania began to open its economy. Currently, there are a number of Korean companies operating in Romania. These Korean companies...include global firms such as Samsung, LG, Doosan, and Daewoo Mangalia Heavy Industries (DMHI), as well as other small and medium-sized companies. Korea’s investment here currently amounts to around $600 million. And the good news is, it is growing"
According to preliminary data from KITA (Korean International Trade Association) on November 30th 2015 the total bilateral trade volume of Romania and the Republic of Korea amounted to USD 1055.7 million. Romanian exports to Korea amounted to USD 568,7million and imports from Korea were USD 487.0 million with a USD +81,7million balance in favor of Romania. Compared to the same period of 2014 Romanian exports to Korea have decreased by 0.2% whereas Romanian imports from Korea have also decreased by 11.9%. Romania is ranked as Korea’s number 18th export partner and 15th import partner among EU nations. Main exports: machinery and electrical devices, stainless steel sheets, aluminum blocks, heaters, cereals, wood and wood products, metallurgical products, inorganic chemicals, plastics, wine, glass products, cloth and clothing etc. Main imports: electronic components and products, cars and spare parts, synthetic fibers, fiber optic cables plastic materials, instruments and optical devices etc. Recently superior products from Romania such as Topoloveni sugar-free gem, and natural minerals waters brands like Borsec and Biborteni have entered the Korean market. Borsec 100% natural mineral water from Romania’s pristine region and mountaintops has received The World Best award as well as 25 platinum and gold medals at various international contests. Borsec has an amazing content of world best minerals and yet a light and refreshing taste. Biborteni is the name of a small village in Romania. Biborteni was first produced in 1871 and it is the official mineral water of the royal family. Biborteni is a natural mineral water obtained through a repeated natural process: the underground water network gathers (rain) waters passing through the Bigar limestone layers, this way accumulating lots of mineral elements. A special characteristic of Topoloveni sugar free jam is that it is made according to an ancient traditional recipe. It contains dietary fibers from fruits, Magnesium and except for fruits and vegetable content, it has no additives; it has low calories and helps suppress the increase of glucose in the blood stream. Also because it has no sugar added compared with other jams it has a mildly sweet taste. There are 3 kinds (of Topoloveni jam): strawberry, blueberry, and plum jam.